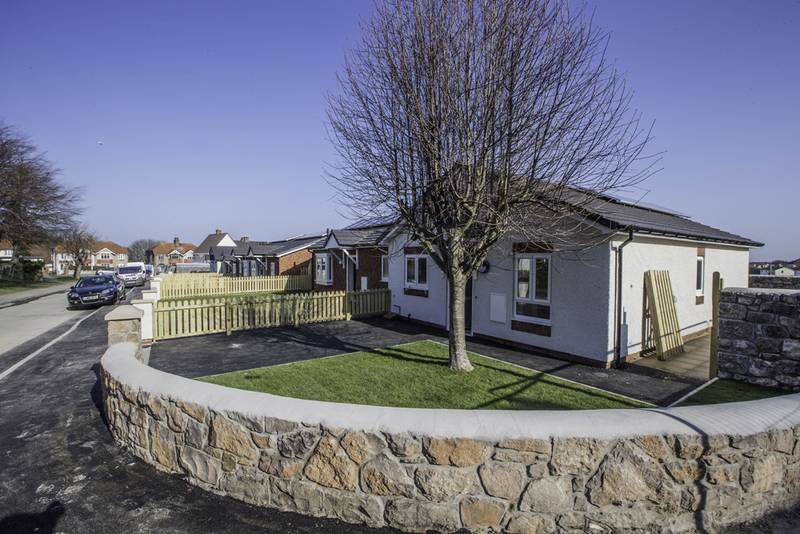 We are working with Cartrefi Conwy, a registered social landlord operating in North Wales, on a number of developments; the first to be completed on site is a complete rebuild of six bungalows for the elderly. The site was occupied by low quality, flat roofed two bed bungalows with structural problems that were deemed to be beyond economic repair. 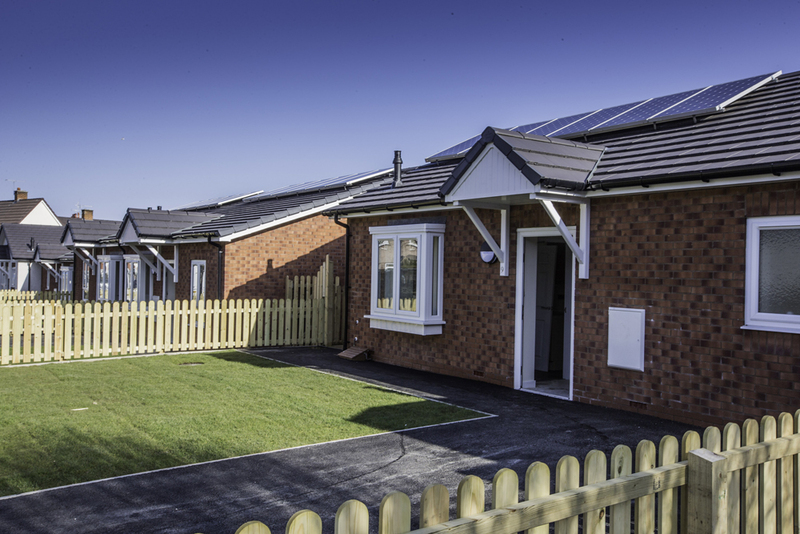 A scheme was developed to replace them with new modern 2 bed bungalows constructed to Code Level 3 with the addition of photovoltaic cells to meet Welsh Planning requirements. The development is now complete and the residents are delighted to be moving back into their new homes.